Physical Therapy: After Your Rotator Cuff Surgery - Jeffrey H. Berg, M.D. Welcome to the 3rd installment of our web-based symposium about physical therapy. What do you see as the key patient and physical therapy factors that leads to a successful recovery after rotator cuff surgery? I think recovering from a Rotator Cuff surgery can be one of the most challenging to rehabilitate. There is a long list of factors that can be involved with outcome including the type of tear, body shape, activity lifestyle prior, and even DNA. We all heal differently! However these are things we cannot control. So more important are what we can control after a Rotator Cuff surgery to have a successful outcome. First and foremost would be following the restrictions the Doctor has set forth. Rotator Cuff surgeries can be very delicate and it is important to let them heal without aggravation to any repaired tissue. Generally the early period is considered more of a protection phase. Physical therapy is focused on minimizing loss of motion while protecting the repair. I have had occasional patient’s that did not follow the advice to avoid active movement and remain in a sling which may interrupt the healing process, while increasing inflammation/aggravation and leading to increased difficulty performing physical therapy activities to regain motion and strength. Further into the rehab process, I think consistency with physical therapy and performing a home program to increase range of motion are most important factors. Rotator Cuff rehabilitation can be painful and difficult some times. The patients that I see do the best with outcome embrace the idea that the rehabilitation is not fun but attend the PT while doing their home exercise program every day anyway. Those that tend to miss appointments and tell me they are too busy to do the home program always tend to take longer, have more pain for a longer period, and get more frustrated. I remind my patients that they only see me 2-3 hours a week. If all the other time during the week the shoulder is not being worked to gain motion with a home program it is going to be difficult to make progress. Physical therapy is a necessity for most people after a rotator cuff surgery. 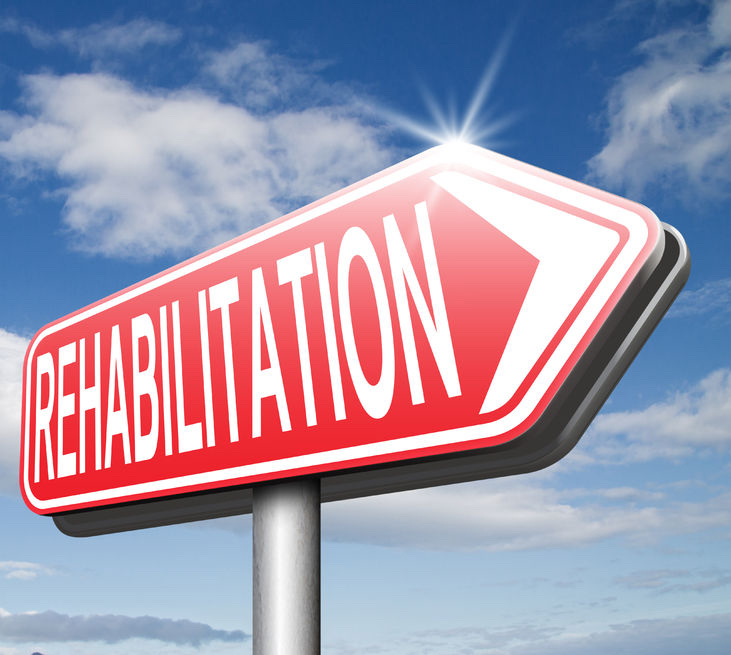 The rehabilitation process is quite involved, but there are many things that allow it to be successful. One of the keys in rehabilitation is understanding the needs of the patient. What types of activities were you doing before surgery, and what types of activities do you plan on returning to after rehab. Communicating this information to your therapist will allow them to better measure your progress and plan your rehab process. A second key is the communication between the surgeon, therapist, and patient. The surgeon who performed the repair has the best knowledge on the quality of the tissue, the extent of the repairs, and his expected time frames for your progression. As with any other relationship, communication is key to success! The third key is a gradual progression back into function. I have worked with many patients who felt it was not necessary to wear a sling or pay attention to their prescribed movement restrictions. Ignoring limitations increases your risk of a sub optimal outcome. The success of a surgery is not measured in weeks, it is measured in years. Early in the rehab process, my approach focuses on restoration of normal passive ranges of motion, and strength of the muscles that move the shoulder blade (scapular stabilizers). It is also important to address the elbow, wrist and neck to reduce limitations from the period of time where the affected shoulder is in a sling. As the body heals from surgery, patients progress from passive ranges to active assistive ranges of motion. An examples of this might be using an overhead shoulder pulley, or using a cane to help you lift your affected arm. As you progress through therapy, I continue to use manual therapy but begin moving into active ranges of motion like lifting your arm forward and to the side. The final part of rotator cuff repair is moving into resisted exercise using bands, machines, or light free weights. The goals behind this part of therapy are to increase strength of the shoulder complex, and begin simulating movements that you may do in your daily life. The rotator cuff repair is a challenging surgery that requires a skilled orthopedic physician, a trained physical therapist, and most of all a dedicated patient. As a physical therapist, surgical intervention to repair a torn rotator cuff is one of the more challenging diagnoses that we treat. In general, shoulder injuries are challenging to treat due to the complexity and inherent instability of the shoulder complex. When you factor in the length of time to recover and the pain associated with the surgical procedure, it can be an uphill battle for both the patient and therapist. However, it is a battle that is won with sound surgical procedures, good physical therapy and patient perseverance. Over the course of my nine years in practice and extensive work treating complex shoulder injuries (both conservatively and surgically), I have discovered that there are a few key factors that help stack the deck in the favor of the patient and their recovery following a rotator cuff repair. The primary key is to choose a skilled team of health professionals. Find an orthopaedic surgeon whom has demonstrated experience and positive results with the procedure. Do your research (if you are reading Dr. Berg’s blog you have made an excellent first step) and find someone you trust and who has a high success rate with this surgical intervention. Selecting the right physical therapist will help guide you through the long recovery process. Having trust with an experienced physical therapist is going to set you up to succeed in reaching your ultimate goals (whatever those may be). Be sure to talk to your surgeon and ask whom they recommend. They have your best interests at heart and want you to have a successful outcome. The second key is to remain compliant with what your medical professionals are advising you do to. Following surgery there are multiple phases to the recovery process, from protecting the repair all the way to returning to sport (or whatever activities you wish to be able to perform). During each phase there are specific things you are and are not allowed to do. In addition, there will be exercises you will be asked to do at home in order to facilitate your recovery. Trust your healthcare team and follow their advisement. That is the reason you selected them. The third key is to have patience and perseverance. This is a long recovery and one that can be frustrating at times. There will be challenging times when your shoulder feels weak or is in pain. However, if you have succeeded in accomplishing the first two keys these obstacles will be speed bumps that you will overcome. Unfortunately, you cannot rush the rehab process following a rotator cuff repair. Your physiology dictates what occurs and is the basis for post-operative physical therapy protocols. If you keep these three keys in mind it will allow for a successful surgery and post-surgical rehabilitation. The key components to a successful recovery starts with education. The first visit with the patient should go over the expected recovery time and protocol timeline. If a patient does not understand the expectations then frustration can plague the recovery process and diminish compliance with rehab. The more the patient knows and understands the expectations the better the recovery and detection to physical therapy. The second key component is making sure the patient is taking proper steps to manage their pain levels. If they are not this can limit their ability to achieve expected protocol goals and tolerance with physical therapy. Also making sure the patient is not over doing it when returning to normal daily activities especially when just out of the sling. Overuse can spike pain levels and again digress progress. The third key component is making sure the patient has an updated home exercise program for every transitionary period of the rotator cuff protocol. This keeps the patient on task and also keeps them motivated since they can perform new exercises to keep up their progress and improve recovery. Overall, the physical therapist should also be aware of patients goals and desired expectations for activity level and gearing their treatment plan to accommodate these goals and activities. Making the recovery more patient geared improves motivation to be involved in the recovery. The greatest challenge to a patient is adhering to their restrictions. It seems patients most often asked questions have to do with when they can return to an activity, whether it be dressing, driving, or exercising, without fear. They should be reassured that loss of motion and atrophy are temporary and not to rush into returning too soon so to avoid possible re-injury. For a successful rehabilitation, the mentality of the therapist should be the same as the advice given to the patient. Some patients take longer to heal and may not be ready for the next step in the protocol if they have not achieved goals set for an early parameter. They should not be progressed too soon either if easily achieving benchmarks in PROM, AROM, and functional usage. All goals from both the therapist and the patient should be to ensure a safe rehabilitation to reduce any possible re-injury. Patient compliance and patient education are huge factors in my opinion. The surgeon, physical therapist, and the patient must be on the same page. Patients need to understand that they will need help the first few weeks and an appropriate support system at home needs to be in place. Recovery is a long process but has great outcomes when there is good communication amongst the medical providers and patient. Components of this education include topics such as necessary sling use, appropriate return to daily activities such as driving and working, and gradual return to sport specific activity. Physical Therapy is a must and continues for 3-4 months following the surgery. Patient compliance with PT attendance and compliance with the home exercise program is of the utmost importance for a successful long term outcome. Non-compliance can lead to numerous complications such as frozen shoulder, tendinitis and re-injury but these are all easily preventable. A good PT program will consist of emphasis to the shoulder primarily but should also include some emphasis on the surrounding regions such as the cervical and thoracic spine, the elbow, and the abdomen. A comprehensive approach includes exercises to address joint and muscle flexibility, strengthening when appropriate, proprioception, range of motion, and nerve mobility of the neck and upper extremity. Rotator cuff surgery has a positive outcome and can lead to a much improved quality life after injury. It does require lengthy rehabilitation following, but compliance and hard work will get you back to doing what you love in no time. Recovering from rotor cuff surgery is not easy. You need to be prepared to work hard along side your therapist and at home for an extended period of time. This will be very challenging. Maintaining a positive outlook and staying focused on your end goals are key. There may be setbacks. You will have pain. Your surgeon can safely remove only some of your discomfort. Initially PT may make your pain even worse. Don’t wait until the pain is all gone before working in PT. That day will never come. PT is required to eliminate your pain and the longer you wait, the harder it gets. Along with your surgeon, a good physical therapist will design a program that takes into account your unique situation. Follow it. Doing either too much or too little can jeopardize your outcome. This is hopefully your first time recovering from this problem, but your surgeon and therapist have done this many times before. Listen to them. Follow their instructions. Don’t “freelance”. With that said, communication is key. No recovery is “black and white”. The program often needs to be altered based on your progress and your response to treatment. So let your therapist and surgeon know what you are experiencing. You are not alone, many people have traveled this difficult path before you. With consistency, perseverance and patience you too can heal, regain your function and return to your prior lifestyle. Lots of great advice. I am four months post-op and doing great. Even on your bad days, go to your PT or do your home exercises! It always amazed me to arrive all ouchy and leave feeling better. On a couple of occasions, I arrived with a tight knot behind my shoulder, so my therapist gave me some massage in that area and then it was business as usual. Disclaimer: I am not a patient of this group. Glad you liked the post. Thanks for your personal insight. I think hearing from patients who have gone through the same experience can be very beneficial to other patients. I had shoulder surgery last November to repair a torn supraspinatus muscle and partially torn bicep tendon. I felt surprisingly little pain during the first seven weeks post-surgery while my arm was in a sling. But I’ve had increased sharp pain and spasms in my bicep and pectoral region during the past 10-14 days that has made it more difficult to perform all of the PT exercises. I try ignoring the sudden pain or tightness in that region while doing PT at home, but it’s increasingly harder to dismiss. My surgeon feels like my bicep region is normal, and has prescribed 600 mg of prescription Motrin to decrease the inflammation. But these physical issues are affecting my emotional state as I’ve been more irritable, anxious and depressed. My surgeon isn’t satisfied with my range of motion, yet I’ve probably exceeded what my PT has asked me. I don’t feel like my surgeon fully understands my emotional state and quite frankly trust my PT more due to seeing him twice per week, as he has a better “feel” of what I’m going through physically, emotionally and psychologically. I perceive the surgeon doesn’t think I’m doing enough PT work, but my body is almost telling me the opposite and not overdo it. It’s almost like there’s a disconnect or expectation gap between my surgeon and PT. 1. Could lingering scar tissue this far out from surgery be causing the sharp pain? 3. How do I effectively work with my surgeon and PT so that they’re on the same page regarding my rehab state? 4. Any advice on how to deal with PT setbacks is most welcome. Sorry to hear that you are having problems. It is not possible for me to comment on your situation specifically without knowing all the surgical details and evaluating you. What I can say in general terms is that recovery from a rotator cuff repair is not easy and is a “marathon”, not a “sprint”. It is rather routine at this point to still have significant stiffness and pain. I tell my patients to expect to not even “turn the corner” for 4-5 months after surgery. (See https://jeffreybergmd.com/torn-rotator-cuff-recovery-surgical-approach/ and https://jeffreybergmd.com/why-is-my-shoulder-stiff-after-my-rotator-cuff-surgery-video/ ). As for the relationship with your surgeon and Therapist, my advice is to have a direct conversation with them. It’s your shoulder and they work for you. I’m always glad to speak with the therapist and I suspect that your surgeon would be as well. As for setbacks, they are also common. See: https://jeffreybergmd.com/did-i-screw-it-up-doc/ . As for mental health issues after surgery, they too are common. When pain, lack of function are combined with fear, isolation, perhaps a loss of your sense of self-worth and adverse financial issues due to all the above, people can get anxious and even depressed. See the comments at the end of this document that I give to all my patients after their rotator cuff repair. https://jeffreybergmd.com/wp-content/uploads/2014/12/Recovering-From-Your-RCR-Surgery-1.pdf . You are not alone. Hope that helps. Thank you so much Dr. Berg for your prompt response which hits the nail on the head regarding my post-surgery physical, emotional and psychological challenges and hurdles. I will heed your advice and check out the other articles on the links you provided. I would like your feedback on a possibly delicate situation in which I don’t want to jeopardize the current relationship with my orthopedist. I don’t doubt his expertise in the field or surgical skills, but I feel like something is just lacking in his ability to provide accurate and comprehensive information about my situation. Honestly, your responses to my initial post with the various links and the post-surgery PDF document gave me more thorough and precise insight regarding the post-surgery experience than what he has shared. He informed me prior to the operation that a full recovery would be in 5-6 months, yet you provided a longer time frame that seems more realistic. He only mentioned for the first time last week that I may continue experiencing pain for up to 8-9 months post-op. He’s put me on two separate prescriptions to address lingering inflammation that’s limiting my range of motion and triggering sharp pain and tightness, but only got an email response from his assistant several days ago about possible scar tissue in my shoulder capsule. It’s almost like his routine has become “You’re doing fine, but your range of motion isn’t where it should be. So let’s prescribe something to decrease the inflammation”. He’s not digging deeper and asking “Why do I still have inflammation issues – perhaps we need an MRI to see what’s going on or what’s the root cause for these issues that I’m seeing” In summary, I don’t have a full picture of my current state and am uncertain if these issues are a “normal” part of recovery. As a result, my confidence and trust in him have slightly eroded and I feel somewhat uneasy at the current state of our relationship. My concern is how my current doctor would react about a second opinion and the possible impact on our relationship going forward. So I’d like your thoughts from your vantage point on the most appropriate way to discuss this with him. Thank you for your patience and understanding in replying.